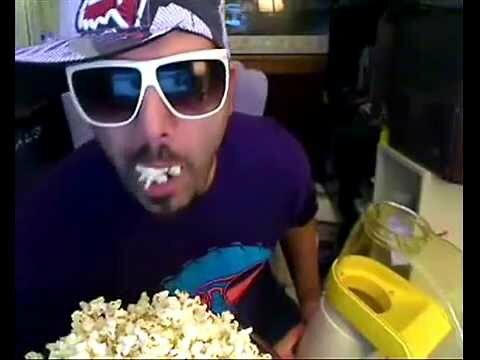 haven't seen one of these threads in a while, where's the popcorn?? Complete with moto related hat. 1shinysideup and Rock Dodger like this. This thread brightened my day. Thanks, OP. Texasl, Cougar, That One Guy and 2 others like this. I was wondering the same thing, but since it wasn't mentioned or ridiculed/cursed, I figure that it wasn't a factor. Why does everyone keep assuming this was post beer? Don't bring in your assumptions to strengthen your argument. I didn't read it that way. Glad everyone is okay, HalcyonSon. Nothing like youre actions being analyzed, debated and judged to make you feel like a part of the community , eh? Why does everyone keep assuming this was post beer? I assumed the op rear ended a stopped car on his motorcycle on his way to get a beer. I assumed he subsequently fell over on his motorcycle as a result of running into a stopped car. I assumed he then found a beer and posted this thread from the beer selling establishment. I assumed the damage to his body and bike were minimal. I assumed all of these things since that it what the op told us happened. Several others responders in this thread assumed the same things as I did. Thumperpilot and Rock Dodger like this. At least he didn't come on the site trying to get someone to buy him a new bike! Texasl and Dragon Rider like this. Your wish is my command, O' Kilted Brigand. Fair enough. I incorrectly stated "everyone" when I should have said "some." Proves the point that not everyone is on the same page. Although you and I appear to be. I really liked it was started with a good old fashioned mother fucker. This site rocks! OP take your medicine and you can brag about your scars later, you did get stopped before suffering serious damage to you and your bike, so you got that going for you. When I was 15.5 years old (driving permit age in WA at the time) my dad took me out for my first driving experience. That day, he told me that nearly 100% of the time, rear-ending someone else would be my fault. I think that's pretty much still true. The OP avoided a rear-end collision only to drop the bike anyway. That gets an A for best effort. Hoo-boy...is there a smiley for "Vaginal Itch"? I've enjoyed all the ride reports (with pictures) he has posted. The guy has some street miles under his belt (maybe not as many as some), but it doesn't take much for a lack of clarity, newbie or not, to bring us all to a moment like this. Nowadays, it's easy to post frustrations (post incident) online and wait for the barrage of differing opinions. It's fully the fault of original OP for not taking this into consideration and maybe expecting everyone to agree with him. A judgement/reaction made too late, I imagine every rider has had this happen at one time in some way shape or form, with varying consequences. In the end, a tap and tipover, no bigee in the grand scheme of things. Spydrmon and HalcyonSon like this.